The hiking in Montana is, quite simply, tremendous. The numerous mountain ranges, national parks and other remote corners of the state provide unlimited hiking possibilities in beautiful and varied terrain. No matter the type of trails you like to hike on or the type of scenery you want to see, Montana almost certainly has a hiking trail for you. As I love hiking, and because hiking is often needed to reach excellent fishing holes, I've put together this section on bigskyfishing that provices information about the hiking gear you will want to have for an enjoyable venture into the wilds of Montana. The hiking gear covered in this section of the site goes into detail about the gear needed for day hiking. 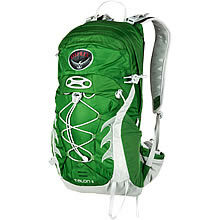 In the future, a special backpacking gear section will also be created, although many of the items covered here are applicable to backpacking as well. It's my hope that anyone who visits this section of Big Sky Fishing in search of hiking gear will come away with a good idea of what gear is needed and why. Daypacks - What kind of day pack to use, and not to use, for a hike in Montana. Or whether you should use one at all. Fleece Clothing - "Say No to Cotton," please. 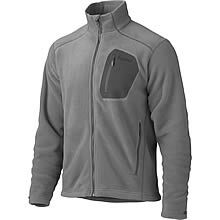 Fleece is what you need for hiking in Montana and elsewhere. 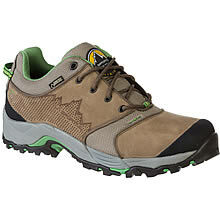 Hiking Boot & Hiking Shoes Guide - Should you get a hiking boot? Hiking shoe? Waterproof? Learn how to best choose the right footwear for your hiking needs. 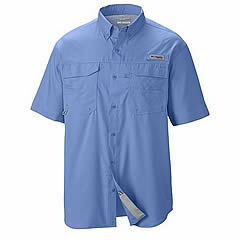 Hiking Shirts - How to stay cool, dry and "stink-free" while out on the trail. 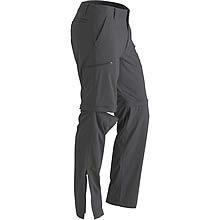 Hiking Pants - Once you hike in a hiking pant, you'll leave the blue jeans and scraggly shorts at home for good. Hiking Socks - Your foot's best friend while hiking in Montana. Cushions the foot, prevents blisters, and doesn't smell bad, either. Staying Hydrated Hiking - Dying of thirst isn't fun. Learn the various gear available, and methods you can use while hiking, to keep thirst away. Sunglasses - It's difficult to hike if you can't see. 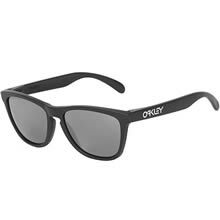 Learn what type sunglasses work best for hiking in the wilds of Montana. 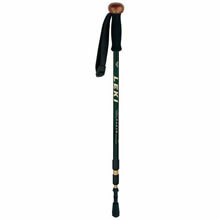 Trekking Poles - How to avoid to broken leg while hiking in Montana, and improve your hiking pace, too. 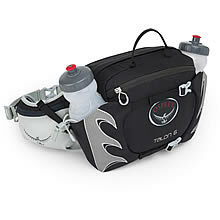 Waist Packs - Delightful packs for shorter or sedate day hikes. Discover whey a waist pack might be right for you. Other articles about hiking gear and Montana hiking destinations on Big Sky Fishing.Com that visitors may wish to read. How to Prevent Blisters - Suffer from blisters while hiking? Have no fear. This guide should help you solve all of your blister woes. Water Filters for Day Hiking - How to gather water on a hike without getting sick. 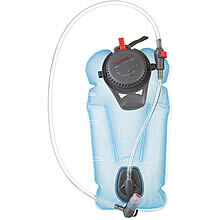 The Buyer's Guide to Hydration Bladders - Everything you wanted to know about one of the finest hiking gear inventions. 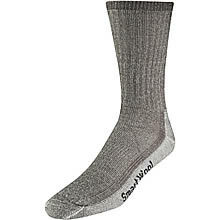 Smartwool Hiking Sock Review - A review of the best sock for hiking. Great Day Hikes in Glacier National Park - Discover the many day hikes that Glacier offers. The Big Sky Fishing gear guide explores the dark and murky world of hiking gear.